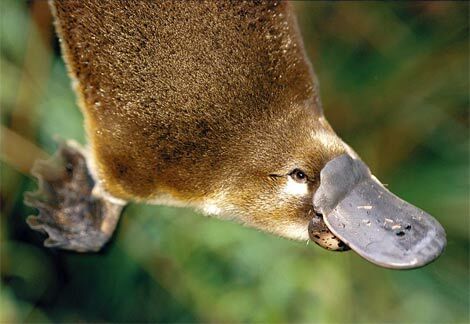 The platypus in cancer drug development, and benefits from participating in Phase 0 trials. It is a matter of fact that the drug development process is anachronistic. It was developed in the ’60s and is not suitable for new, molecularly targeted agents that are now being developed in the molecular biology laboratories. In the past forty years, the advances in terms of unraveling the molecular pathways deregulated in tumours have been astonishing, but have not resulted in the equal great expected advancements at the bedside. That is what is called the ‘gap of translational research‘. This gap is especially acute in the field of oncology, where the percentage of New Molecular Entities (NME) that make it from experiments of animals to entry to the market is only 5 %, and it is estimated that it currently takes 12 to 15 years from drug discovery until marketing, compared with an average of 8 years in the 1960s. Quoting David Steensma (Dana Farber Harvard Cancer Centre) on the anachronisms of the drug development process: “Like the duckbill platypus, the contemporary clinical trial development process is an organism that no rational person would have designed a priori. Its awkward present form evolved because of decades of tinkering with administrative structures at NCI and the National Institutes of Health, reactions to specific events or perceived risks, and changing needs of various governmental and nongovernmental stakeholders”. This problem was recognized in 2004 by regulatory agencies FDA & EMA and prompted the issuing of new guidelines, which take the name of Phase 0 trials. Phase 0 trials are investigational new trials, which administer sub-pharmacological doses to the participants. They have no intention to treat and, at least as intended by regulatory agencies, aim at eliminating therapeutic failures early in the cancer drug development for agents without biological effectiveness, thus reducing costs and time of drug development. Phase 0 trials are different in design from traditionally Phase 1 cancer trial, where a starting dose is selected, designed to be safe based on animal toxicology studies, and then doses are escalated to a maximum tolerated dose (MTD), defined by toxicity. The Phase 1 trial design results in a high proportion of the patients being treated at doses so low that there is no therapeutic effect at all, while an abundant bioethics literature demonstrated the existence of a widespread “therapeutic mis-estimation” (i.e. a wrong belief about the probability of receiving therapeutic benefits derived from participation) among participants of Phase 1 cancer trials. From this perspective, Phase 1 cancer studies with low doses of agent are no different in practice from Phase 0 studies, since both have no therapeutic effect, though the latter do not seem to pose the same problems of therapeutic mis-estimation, as by definition do not intend to treat. As put by Dr Shivaani Kummar , principal investigator for the first Phase 0 trial performed at NCI-NIH “A patient’s decision to participate and to provide biopsy samples for research purposes as part of a phase 0 trial is not clouded by any perception of direct medical benefit”. Could it still be argued that Phase 0 trials offer a benefit to the participant? Adopting the framework developed by Nancy King (Center for Genomics & Society, UNC Chapel Hill), the answer is yes. King does not equate benefit derived from participation in clinical research with therapeutic benefit, and actually distinguishes three possible kinds of benefits deriving from participation in clinical research: a) direct benefit to subjects, defined as “benefit arising from receiving the intervention being studied”; b) collateral benefit to subjects (or “indirect” benefit), defined as “benefit arising from being a subject, even if one does not receive the experimental intervention” (for example, a free physical exam and testing, free medical care and other extra care/check ups, or the personal gratification of altruism); c) aspirational benefit, defined as “benefit to society and to future patients, which arises from the results of the study”. Within the classification outlined by King, benefits derived from Phase 0 trials could belong both to subclass b) and c). In addition, it could be argued that subjects have an interest in participating in research, because they can derive benefits (understood in King’s framework) from it, and such benefits would advance their well-being. But the relationships between the concept of interest, well-being and benefit are too complex to be dealt with in a single post. Till later! Agrawal M, Emanuel EJ. Ethics of phase 1 oncology studies: reexamining the arguments and data. JAMA 2003. 290, (8): 1075-1082. Butler D, Translational research: Crossing the valley of death. Nature 2008; 453:840-842. King NM. Defining and describing benefit appropriately in clinical trials. The Journal of Law, Medicine & Ethics 2000;28(4): 332-343. Kummar S, Kinders R, Gutierrez ME, Rubinstein L, et al. Phase 0 clinical trial of the poly (ADP-ribose) polymerase inhibitor ABT-888 in patients with advanced malignancies. J Clinical Oncology 2009; 27(16): 2705-2711. Miller M. Phase I cancer trials. A collusion of misunderstanding. The Hastings Center Report. 2000; 30(4): 34-43. Steensma DP. The ordinary miracle of cancer clinical trials. J Clin Oncol. 2009 Apr 10;27(11):1737-9.